Death of William’s father. 1987. In February 1987 William’s father died in South Africa. 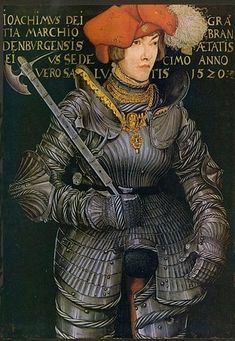 After the death of William’s mother he had married Joan, who was a close friend of his mother’s. They lived in Kenilworth, a suburb of Cape Town. We both flew to Cape Town for the funeral where we met some of Joan’s relatives, little realising they all had their eyes on Joan’s inheritance from his father. Joan herself had very little money, the shares which she had been left by her first husband had slowly been whittled away over the years, mostly bonds which had matured and she had used the capital instead of reinvesting. Clearly William’s father had picked up all their living expenses, but in return she was a loving wife and looked after him in his old age. She and I tried to work out how she was going to manage financially until William’s father’s estate was settled, and so we visited her bank manager. Between we worked out she would be able to get through. But we arranged if there was any delay and she needed the money the Bank manager was to get in touch and we would send some. Before we arrived for the funeral, Joan had bundled all Ted’s clothes and possessions into old suitcases and bags, no reference to William about them, which hurt him considerably. He was too polite to ask her what had happened to his father’s things and it was left to me to fight in his corner. When I duly enquired about them she took us to a storeroom and pointed out suitcases full of all William father’s clothes, shoes, etc. Poor William seeing them bundled up in such a callous way fell to pieces and I took him for a walk till he calmed down. I then remembered that William’s father always kept William’s mother’s wedding ring in his wallet with a number of photographs of William and his mother and asked Joan what had happened to them. It appears that she had not even looked into his pockets and just bundled everything into these suitcases to give to Ishmael the chauffeur. I told her about the wallet, and she then rummaged about till she found Ted’s favourite jacket and lo and behold there was the wallet, with the ring and photos. I retrieved them and gave them to William. I then enquired about his father’s signet ring which he always wore and of course Joan had to rummage about in the wardrobe, where she had simply tossed it and it was also finally unearthed. Fortunately William was not around for this. She really was one of the most thoughtless woman I had ever met. William, realised, for the first time I think, that of course as an only child he had now lost both his grandparents and parents and apart from some cousins was very much alone. He was in a terrible state for many days while we were in Cape Town and it is just as well that we were able to spent time walking along the magnificent beaches just outside Cape Town. Muizenberg being a favourite. We still consider that the view from Muisenberg railway station is one of the most memorable in the world. Of course apartheid was still in full swing and we bought our train tickets at the small station kiosk from one side and native Africans bought their tickets on the other, we stood on one side of the virtually empty platform whilst they, in crowds, were crammed into a space at the other end. One curiosity in Muizenberg was a house which held the Natale Labia Collection which was open to the public. We were the only visitors on the day we saw it. The nucleus of the collection was formed by Sir J. B. Robinson the grandfather of Count Natale Labia the donor. Robinson had made his fortune in the Kimberley diamond mines. He settled in a large mansion, Dudley House in Park Lane, London, and amassed a magnificent collection of paintings and furniture. In 1910 he put the contents of Dudley House in store and retired to Cape Town. In 1923 he decided to sell his collection at auction, the catalogue was printed, but when he went to see them he fell in love with the collection again, tried to stop the sale, but could not and therefore had to buy back most of the collection. The collection was put back in store again and Robinson died in 1929. His daughter Countess Ida Labia who had married Count Natale Labia, whose family once owned the Palazzo Labia in Venice with its magnificent Tiepolo frescoes, which we were to visit in the future, inherited the collection. She and her husband decided to build a home in the Venetian style at Muizenberg, though it would not look out of place in Bournemouth. The house and contents then passed to her son Natale Labia who presented them to the South African National Gallery in 1985 in memory of his parents. The collection contained works by Bartolomeo di Giovanni, Murillo, many Dutch and Flemish paintings, works by Gainsborough, Lawrence, Reynolds, Romney, Millais, Sickert, three by Boucher, Utrillo, Vuillard, etc. etc. It was quite extraordinary to step from the streets of sleepy Muisenberg, with its magnificent beach and crashing waves, into this other world. Bouchers in Muisenberg! We could not believe our eyes. Sadly it now looks like it has become a wedding venue, see above, with two of the Boucher paintings reduced to a backdrop. 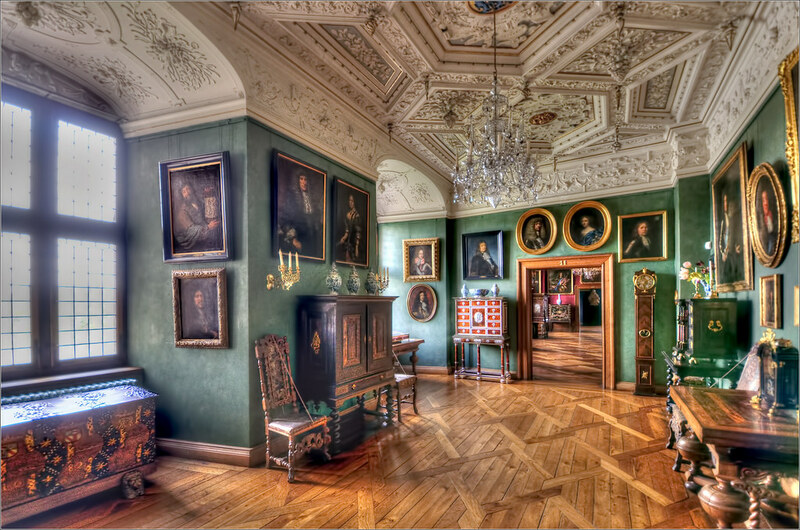 I wonder how many people realise that the paintings on the walls are the remnants of the fabled Robinson collection. Ireland, 1987. My mother William and I then decided to do a trip to Ireland, which none of us had seen. We started our visit in Dublin, visited the National Gallery, Dublin Castle and the Dublin Museum of Antiquities we then, visited Russborough House and gardens where the Beit collection was on then on display. We hired a car and drove right across the centre of Ireland to the west coast. We saw the incredible Newgrange Burial Chamber (3000 BC), quite one of the most elaborate ones we had ever seen. Here is my mother at the entrance and one of the many enigmatic carved stones on the site. memorable because of the welcome we got and the mouth-watering food which was served up to us. We walked across the Burren with its rough stony surface its crevices filled with alpine, arctic and Mediterranean plants all of which thrive together in this strange landscape. Saw some burial chambers. Magnificent scenery everywhere we went. The 1st Viscount Powerscourt transformed the medieval castle at Powerscourt into a grand mansion. In 1730 he commissioned the German-born architect Richard Castle to build Powerscourt House, a 68 room mansion which was completed in 1741. The house contained some of the finest 18th century interiors in Ireland and was one of the country’s most beautiful mansions. In 1961, the Slazenger family purchased the Estate from the 9th Viscount Powerscourt. In 1974 it burnt to the ground, it outer walls was all that remained. We visited Powerscourt gardens and waterfalls. possible from the massive windows which looked onto the magnificent hotel gardens. Most of the tables by the windows were vacant or were assigned to guests who had just come to dine and were not staying at the hotel. We asked to see the owner to seek to change our table as apparently the staff could not move us without her permission. She swept into the room, we politely made our request which was abruptly turned down, she was adamant that we should stay at the table assigned to us, glared at the dining staff making it clear she was to be obeyed and swept out of the room. This was the only time in our visit to Ireland or indeed in any hotel around the world we had visited where we were met with such barely contained hostility. She should have had a sign up to say ‘No English welcome’ but it was hostility all the way the minute we signed in and put down our address. Denmark 1987. My, it was a busy year. The three of us went to Copenhagen, the hotel was a disaster, and was in the process of being refurbished and so the air-conditioning had been turned off and the rooms were stifling. Every corridor filled with pots of paint and plaster and workmen. Mother was allocated a bedroom, and being somewhat tired after the journey lay down on the bed before unpacking her luggage. It was just as well she did because all of a sudden the room felt like an earthquake had hit it, thuds and scraping noises and the whole room began to shake. She phoned me to come to her room and I could not believe the sound coming from the wall. It appears that the hotel was next door to a printing press. Needless we asked for a different room in fact I had to change our room as well because the only window was small and stuck closed and the heat was intolerable. We all finished up in attic rooms away from the noise but with large windows. We found to our horror that all the Danish civil servants, which included most museum staff were on strike. So virtually every gallery we wanted to see was closed. 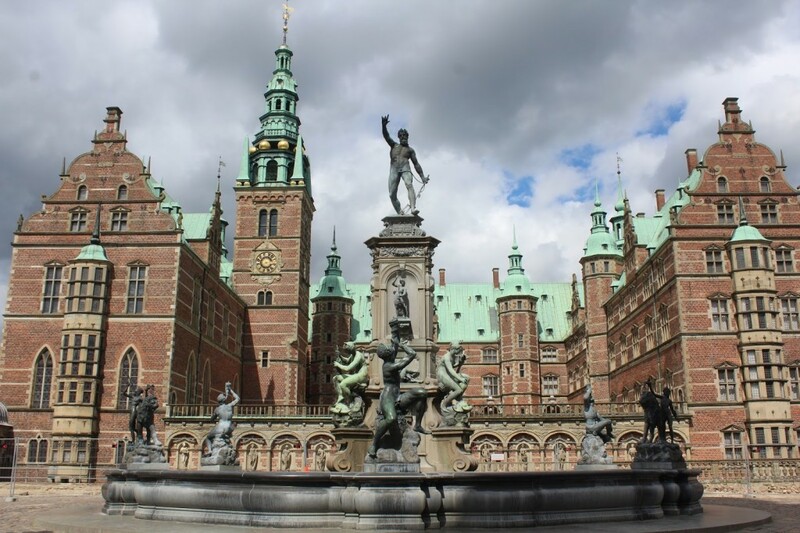 Fortunately some places were not affected and we were able to tour Fredericksborg Castle a museum of national history. This impressive Renaissance castle was built in the first decades of the 17th century by King Christian IV and is a fantastic confection of a building, filled with portraits; we were in heaven. Visited the amazing Ny Carlsberg Glyptotek an art museum built around the personal collection of Carl Jacobsen (1842–1914), the son of the founder of the Carlsberg Breweries. And what a collection! Antique sculpture from Egypt, Rome and Greece, as well as more modern sculptures such as a collection of Rodin works and an extensive collection of French Impressionists and Danish Golden Age paintings. Elsinore was closed so we had to content ourselves with the exterior. The price of food shook us, a plate of soup at our hotel cost something in the region of £10 which in 1987 was a great deal of money, and we were forced to eat in the station buffet of all places. We visited the famed Tivoli Gardens, very tacky, like a massive rubbishy funfair. All in all our entire trip to Denmark is still regarded by us as one of our most disastrous trips abroad. The final straw came when we went to pick up our luggage, as we had had to leave it with the concierge of the hotel in the morning and book out of our rooms as the coach to the airport was not leaving till late afternoon. The luggage could not be found, apparently because of the renovations being carried out in the hotel the luggage had been moved. The staff who had moved the luggage were no longer on duty and no one knew where the luggage had been stored. It took over an hour to finally find it and we just caught the coach to the airport in the nick of time. This was the year William decided that he never wanted to fly again and so had returned by boat whilst mother and I went by plane. Fortunately he did not keep to his resolve and in future we always travelled together. 1988. August. East Germany. The year before the fall of the Berlin Wall we did an organised trip to East Berlin to see its art treasures. I made no record of the places we visited and my main recollection of some of the galleries was how sad and shabby they looked and how empty they were of visitors. There was nothing for sale in the fully staffed gallery shops, just empty shelves and cases, no postcards, no guides to the galleries, photography not allowed anywhere. All the road were in a terrible state, full of pot-holes, with enormous pipes on either side of the roads; goodness knows what they contained, but to be leave exposed like that seemed curious and of course made the roadside extremely ugly. The coach was not allowed to stop so that photographs could be taken. Everywhere we went in the countryside there seemed to be a sort of gritty dust in the air. The food was atrocious and we were accommodated in ‘Tourist’ hotels to which no East German was allowed other than the staff which meant that the guests were thin on the ground and we went into dining rooms which were over-staffed and virtually empty. The whole atmosphere throughout the trip was one of oppressive gloom and there were countless times the coach was stopped and we all had to show our passports. Silence throughout the procedure. We had been told not to engage in conversation with the guards who came on board and certainly not crack any jokes or laugh or smile while they were around, as this may be regarded as suspicious behaviour. The worst moments, ones of acute discomfort were when we passed through Checkpoint Charley on the way in and out. Everyone was closely scrutinised, every seat was looked under, all the luggage had to be taken out and put on the road while they searched the coach. A horrible oppressive silence throughout. Everyone hoping that one of the wags on board would not break the silence and make a joke, which would only prolong this embarrassing agony. Berlin: Museum Island which had fallen into East Berlin, most memorable was the Pergamum Museum which housed the world famous Pergamum Altar. This monumental marble altar had been built in 164-156 BC and had been dedicated to Zeus and Athena. It had been excavated in the mid 19th century and been reconstructed in the museum. It is just breath-taking. It depicts the battle of the gods and the giants with over 100 figures. Then there is the massive market gateway from Miletus caused to be built by Hadrian in c.120 AD. We also saw the equally massive Ishtar Gate built in 6 BC under Nebuchadnezzar in honour of the Babylonian female god of Ishar, composed of cobalt blue bricks with bulls and dragons. 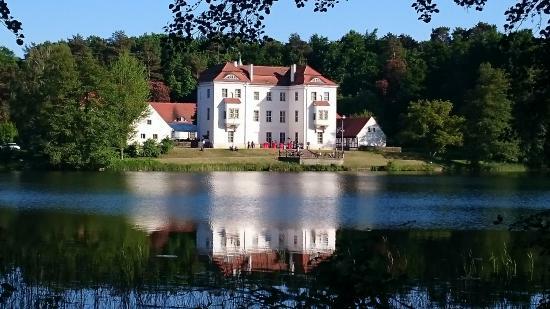 The hunting lodge known as the Jugdschloss Grunewald is in a beautiful woodland setting. Jugdschloss dates back to the 1540 but its present appearance dates back to the reign of Frederick I of Prussia 18th century. Furnished and full of paintings including some early portraits which always excite me. Marvellous atmosphere. Dresden. To see the great art gallery. Looking very sad and I seem to recollect being housed in rather cramped quarters, the former stables of the palace, I seem to recollect. It is so full of masterpieces that it would be impossible to do it justice by describing some. We had to find our own lunch that day and we finished up in what I think was a state run restaurant. Metal plates, all bent and scuffed, we hoped they did not contain lead. The only available place to sit was with a family of mother and father with two children. We all looked cautiously at one another for part of the meal which we ate in silence and then, I don’t know how but we found that the mother spoke English and so we had a rather awkward and forced conversation to begin with but then the children were very curious about us and she had to translate their questions which lightened the atmosphere. We were aware that the parents were constantly looking around them at the other diners. They were on a visit to Dresden for the day with a group who surrounded us on the other tables. I do hope we did not get them into trouble but we ended the meal with smiles all around and shook hands. The only time during our whole trip that we spoke to anyone other than staff in the hotel and our group. Schloss Moritzburg. Originally built as a hunting lodge in the 16th century its present appearance is 18th century. It is set in the centre of an artificial lake and has that wow factor. Beautifully furnished with paintings and tapestries and we had the place to ourselves. Leipzig. Visited the Museum of Fine Arts. Crammed with Dutch paintings. 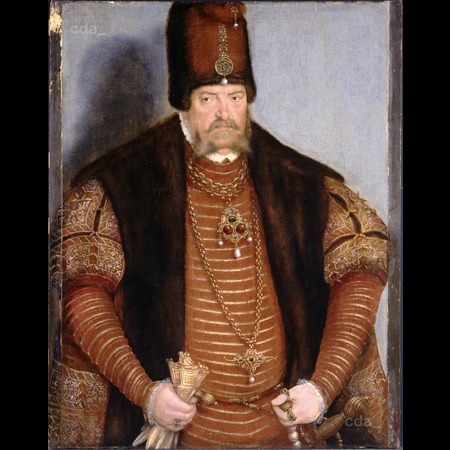 It also has a mass of paintings by Lucas Cranach and an important collection of sculptures. That evening after dinner we ventured out into the streets which were deserted. We found the railway station, thinking maybe they would have guide books and postcards for sale.. The station is a vast edifice but not a train or a soul to be seen, completely deserted. Very spooky. Before the Wall this station must have been a massive hub with trains going everywhere around Europe. We fled back to the hotel. Berlin. On the last night, which we spent in a hotel in East Berlin, we all wandered over to the Brandenburg Gate. All very quiet except for groups of soldiers with guns. The next day we spent on the other side of the Gate, oh so different. Another world. We were all glad to have left fearful East Berlin. There were many more places we visited but I cannot recall them. Australia, October 1988. William and I decided to visit Australia in its bicentenary year. So we booked to join an American Tour Group with whom we had travelled before. Maupintour. We flew to Los Angeles where we were to pick up the party and stayed overnight in the Sheraton Plaza La Reina Hotel, and I think we were on the 12th floor: all glass. Treated ourselves to a very good dinner. 12th / 14th October. Los Angeles/Sydney We joined the group and checked in at the airport on Wednesday. Very comfortable flight; we flew business class. As we crossed the Date Line we arrived in Sydney on Friday 14 October. There we were picked up by coach and taken to the massive Sydney Hilton International. Sumptous room with views right across the city. 15th October. Sydney. Coach sightseeing tour along the coast. Viewed a bewildering number of beaches, parks and gardens, Hyde Park and the Royal Botanical Gardens stand out as does Bondi beach. We paused for a group photograph with the Opera House in the background. Somewhere along the way we visited Vacluse House, 19th century Gothic Revival mansion, built by Sir Henry Brown Hayes who had been transported in 1802 for kidnapping the daughter of an Irish banker. He bought the property and built the house but eventually having been pardoned in 1812, left it for Ireland. It was acquired by William Charles Wentworth (1790-1872) who filled it with paintings and furniture, much of which is still in the house. The property was eventually acquired by the Government and opened to the public. Quite handsome interiors. Our Australian coach driver, kept us diverted by lengthy tales, in a sort of jokey banter manner which became very tiresome after a while. Many of the tales were at the expense of the ‘Limeys. ie. newly settled British, showing how gullible and foolish, not to mention how stupid they were. Our guide eventually pointed out to him that the American party contained two Englishmen and the stories stopped. For which almost everyone was grateful and he must have found it strange that very few people laughed at his rather spiteful jokes. At 12.30 we boarded the City of Sydney for a cruise around Sydney Harbour and were served lunch on board. We had the afternoon free so visited the Gallery of Art of New South Wales. As it was the centenary year there were special exhibitions and lots of their early colonial paintings made it onto the walls of galleries we visited, many of which I suspect were usually kept in store. It was marvellous to see the very early colonial artists, many of them having been transported from Britain. We also discovered artists like Frederick McCubbin, Tom Roberts, Arthur Streeton, etc. and of course William Dobell. I cannot think when I last saw a Dobell in the UK or Europe. So many of these extremely accomplished artists totally unknown in Europe and so many of the paintings new to our eyes as I doubt if any of the paintings in Australian Galleries had ever made it into the art books of Europe. . So almost everything was seen for the first time which was very exciting. Works in the gallery by Bronzino, Moroni, Leighton, Cezanne, Van Gogh, Picasso, all new to our eyes. We finished up on the steps of the Royal Opera House. Wow. 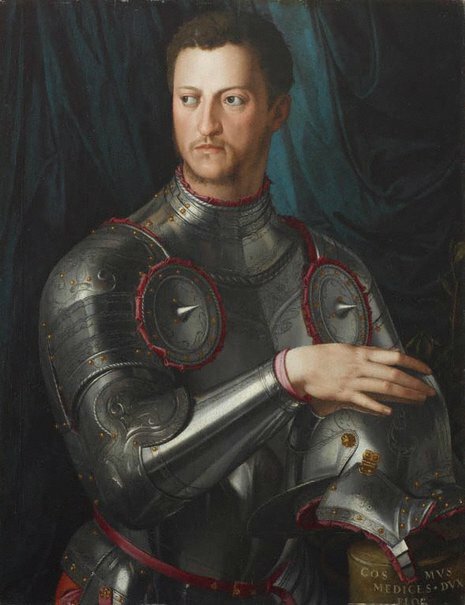 Cosimo I de’ Medici in armour by Bronzino 1540s. followed by a performance by Australian Opera of Poulenc’s Dialogues of the Carmelites. The fantastic elaborate lift system whereby whole sets were lifted up and down, stuck and so we had the last acts enacted in the ruined library of an 18th century drawing room when it should have been the Prison of the Conciergerie and the Place de la Revolution. But it was a wonderful night and though it must have been heart-stopping for the singers, they, and we, ignored the scenery blip. What an incredible day. 16th October. Sydney. We crossed the Sydney Harbour Bridge to the north side of the harbour to visit the Featherdale Wildlife Park, to see koalas, kangaroos, emus and wallabies. Afternoon at leisure. Revisited the Art Gallery as we had barely touched the surface. I recall there was also a massive special exhibition of paintings ‘Creating Australia, 200 years of Art’, which was fascinating. 17th October. Canberra Today we flew from Sydney to the capital Canberra, staying at the Lakeside International Hotel. We were taken for a sightseeing trip around Canberra, what a strange place, and then to the Tralee Sheep Station where we watched sheep shearing, sheep dogs at work etc, but the best was the barbecue lunch in what appeared to be in the middle of nowhere. We returned to the hotel and the afternoon was another organised sightseeing coach trip but we cried off and went off on our own to visit the Australian National Gallery which also had a magnificent special exhibition. We really needed the whole day to appreciate the collection and exhibition, but we did have the whole afternoon. We wandered back through parkland with fascinating colourful birds on the grass and in the bushes. Splendid dinner at the hotel. 18th October. Melbourne. Flew from Canberra to Melbourne to stay at the Regent Hotel Melbourne. We were to stay at the Hilton, but apparently this was far superior. It occupies the 35floor and upwards of a massive skyscraper. All mirrors and glass. Our room was luxurious. The most incredible atrium. We had the afternoon free so made our way to the National Gallery of Victoria which contains a truly great collection. 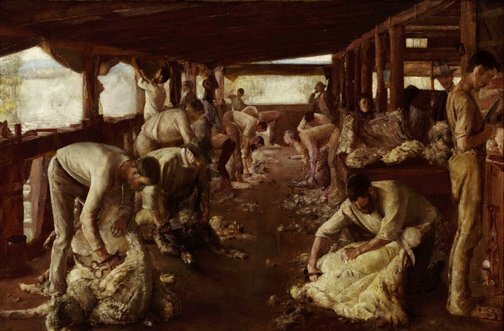 British and many major European artists strongly represented, Zoffany, Devis, Romney, Hoppner, Gainsborough, Tissot, Van Dyck, Rubens, Tiepolo, Batoni, and of course some great Australian paintings. 19th October. Melbourne. Sightseeing tour which usually we try to avoid but decided to take. We visited Como House, built in 1847,which was apparently a time-capsule of Melbourne aristocracy. Furnished with added ballroom but there was no literature about the place and I can’t remember that it was of much interest though apparently owned by the Australian National Trust. What stikes most was that it was a glorified wedding venue for the locals. Next stop was the Botanical Gardens. Interesting but we realised that we really must not take sightseeing tours if at all possible. In the afternoon we went by coach to Phillip Island, we had dinner on the Island. Delicious lobster. At dusk with three million people we were lined up on raised decking on the sand dunes facing the sea which was lit with special lighting. We were told not to take flash photos. We waited, and waited and then all of a sudden one wave tossed some very startled Fairy Penguins onto the beach. Startled they must have been with hordes of people watching and flash bulbs going off. The first batch of penguins dashed back into the sea but just as they did so the next wave brought them back with the next wave of penguins, thereafter each wave seemed to toss more and more penguins onto the very crowded beach. Of course flash bulbs were bursting all over the place in spite of huge warning notices. Anyway the next thing that happened was that the penguins all starting scuttling across the beach and under the decking to go to their burrows in the nearby sand dunes, where presumably their progeny were waiting. Apparently this happens every night, right up and down the long coastline. By the way, it was also freezing cold. Finally the last penguin wave just emptied a couple of penguins who scuttled off and the beach was deserted again. What an incredible experience. 20th October. Melbourne Whole day to ourselves in Melbourne. Returned to the National Gallery of Victoria. Our guidebook to Australia forgot to mention the nearby Ballarat Art Gallery easily accessible by train from Melbourne and one of the oldest galleries in Australia, and so for some strange reason we finished up visiting the Zoo. Having got back to our hotel there was the brochure telling us about the glories of Ballarat’s art gallery. Too late. We dined very well, still kicking ourselves, at Florentino’s restaurant. 21st October. Alice Springs and Ayres Rock. We flew to Alice Springs, had a short time wandering about the shops and bought a small oil painting of a study of rocks by a local artist called R.Kleinboonschate. Then on to Ayres Rock, in the pouring rain, and freezing cold temperatures. We stopped off to view the large domed rock formations southwest of Alice Springs, called the Olgas. By this time the rain had stopped but everything was covered in a freezing cold mist. All of us dressed for very hot weather. A few of us ventured out to view the Olgas but soon fled back to the coach. We finally arrived at the Sheraton Ayres Rock where we had lunch. After lunch we went to get our first view of Ayres Rock with a local guide and visited some of the Aborigines’ caves. Still very misty, everyone exclaiming how lucky we were to see rain in the area. After dinner the mist disappeared the sky brightened and we were bussed out to get a view of the rock in the sunset. Magnificent sight, as Uluru changed colour. Whole groups of people picnicking out in groups to see the crimson sunset. Unforgettable. 22nd October. We spent the day with our local guide walking around Uluru. Some intrepid people in the party spent their time climbing to the top. We had gone past the time when we did such things. Fascinating trip around the rock, very informative guide, all the pools and springs had filled up with the rain. Watched the sunset again. 23rd Western MacDonnell Range. We did an excursion to the Western MacDonnell Range, we seemed to walk for miles in the outback. Wonderful experience. Stopped to visit the John Flynn Memorial at Burt’s Bluff. Flynn was a founding member and main instigator of the Flying Doctor Service. Walked through the Standley Chasm, named after the first school teacher in Alice Springs. An amazing chasm between two huge rock formations which almost, but not quite touch each other. Saw numbers of the elegant Gum trees with their white bark. Then stopped for a barbeque lunch at the remote Glen Helen Lodge. So absolutely quite and peaceful. The two of us went for a walk along the Finke river. Visited the Ormiston Gorge and the Ellery Creek Big Hole. We then were taken to a Camel and Kangaroo Sanctuary in the outback where someone persuaded me to ride a camel! Returned to our hotel for dinner. 24th October Cairns. Did a morning tour of Alice Springs and then to the airport to fly to Cairns. We were booked into the Tradewinds Esplanade Hotel. Again very luxurious. We had the afternoon free so we wandered along the sea front seeing the pelicans and other exotic birds. In the evening just as were dressing for dinner at the hotel, we heard the most incredible noise from thousands of Lorikeets which descended on the trees surrounding the hotel pool, everyone ran for cover and the pool was quickly covered as clearly it was going to be raining lorikeet poo. The noise was deafening and we thought will this go on throughout the night. But I think it was just about when the sun set that all of a sudden the noise ceased. Clearly the lorikeets had thought it was time to quieten down and go to sleep. In the morning they had gone. But they certainly lent a splash of incredible colour to the trees. 25th October. The Barrier Reef. We set off in a catamaran to Hastings Reef on the Barrier Reef and stopped off at Heron Island. We walked along the Island’s white sandy beaches with the sea changing from dark blue to turquoise to pale blue. At noon we boarded again and had a buffet lunch and then on to the Great Barrier Reef. Neither of us are into snorkelling or swimming so I have to say we were rather at a loose end, we did go into the semi-submersible reef viewer but the glass turned everything a dark green so not very successful a view but that is as near as we were going to get to see underwater. Anyway everyone seem to have had a good time, I just wish we were more into such things. But here we were on the Great Barrier Reef, though on board one was not really aware of it, the sea was colourful and everyone else was splashing about in it gasping with wonder at what they had seen. We returned in the late afternoon. Flew to Brisbane and checked in at the Sheraton Brisbane. 26th October. Brisbane. We had a free morning and lunch was not included so we did not take the obligatory city tour but headed for the National Gallery of Queensland, Brisbane. 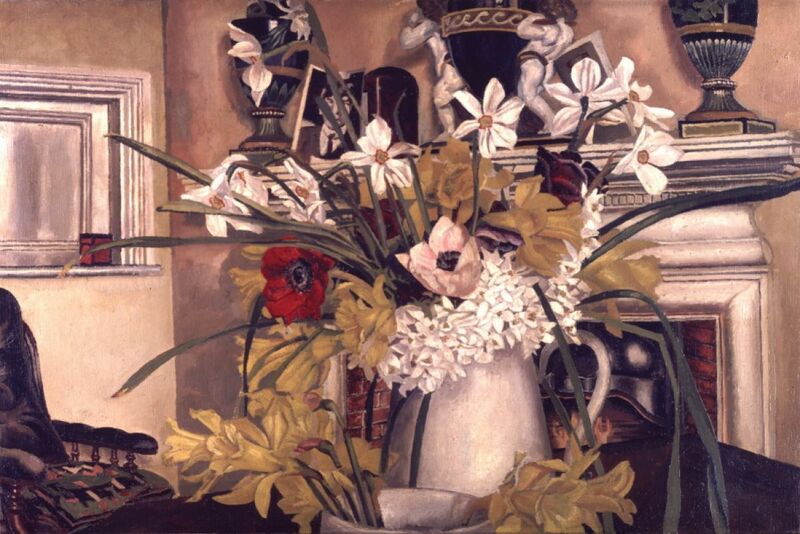 Huge collection of Dutch and Flemish paintings, some English but very few on view a good Stanley Spencer of flowers in an interior. The very famous Dobell of The Cypriot. If there is one Dobell which is known, it must be this one. Flew to Los Angeles and crossed date line again so we arrived late in the afternoon on 28 October. Stayed at the swish Sheraton Plaza La Reina and flew home the next morning. 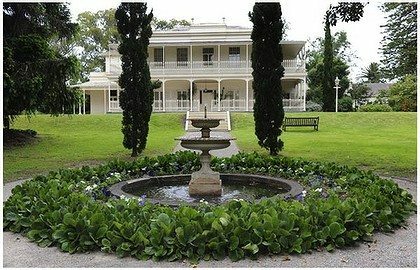 Purchase of 63 Marlow House. 1989. Under the right to buy scheme introduced by the Thatcher government my mother and I found ourselves entitled to purchase the Westminster City council flat at Hallfield. Well it would have been foolish not to do so. We bought it for the princely sum of £18,585. When last heard our type of flat at Hallfield was being sold for about three-quarters of a million. 1990 – October Venice. 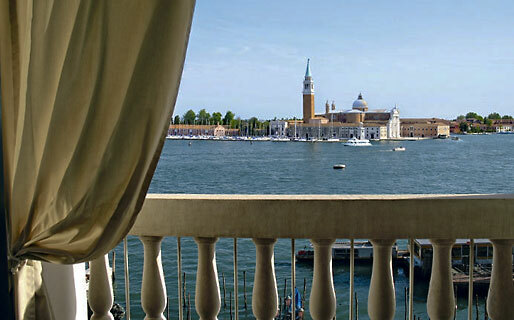 We decided to do an independent trip to Venice and treated ourselves to the Londra Palace Hotel. The hotel is a dream with the most magnificent views. The company we booked with, met us at the airport with a taxi, swept us to the lagoon and we travelled down the Grand Canal in great style to our hotel with a water taxi all to ourselves. We spent our days just wandering around Venice, in a very leisurely fashion, seeing some of our favourite churches and galleries and finding new ones. We just felt a longing to be in Venice again and I knew that in a few months’ time we would be starting a new life of retirement, or so we thought. I was 53 years of age of age and comparatively young and felt not quite ready to retire though I think William couldn’t wait.